awesome vegan catering by stuttgart / berlin based chef christian. he is a genius when it comes to combine local and exotic fruits and veggies to a mouth watering dish. kontrastreich is a kitchen workshop, a festival foodtruck as well as a local vegan catering. or chris is simply coming to your space as a private chef to spice up your dinner invitation. 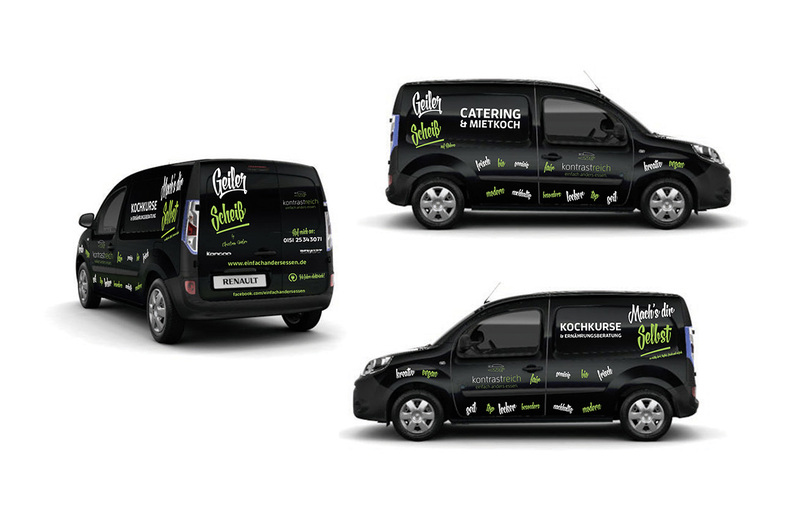 we developed some more branding experience such as flyers, moods and a car wrap, not the one to eat though.